Posted on July 3, 2009 . No comment. Hi. 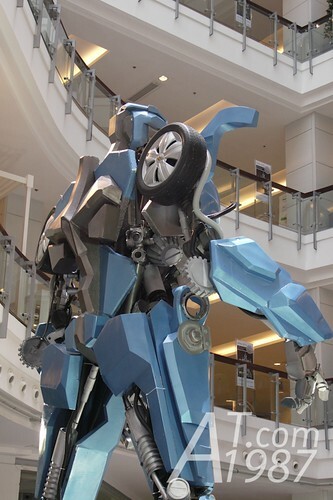 Last week I went to KRUNGSRI IMAX to see Transformers: Revenge of the Fallen but I never have time to write about it due to I had to prepare for driving license exam. I have just finished the exam so I continue to write about it. 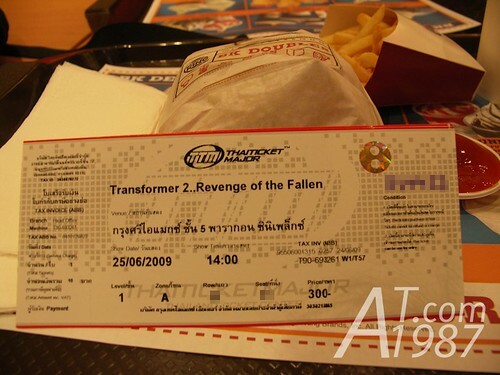 In Thailand Transformers: Revenge of the Fallen started showing on June 23rd at 17.00 but IMAX version stared at 20.30. Tickets are sold out. 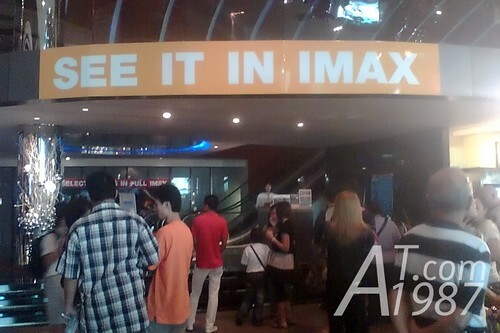 It’s very unusual for IMAX version film in Thailand. Luckily I got the tickets through Thai Ticket Major service. 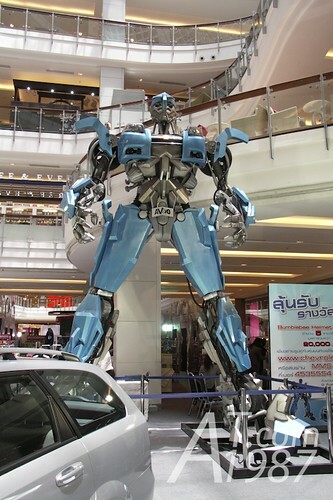 Before I went to KRUNGSRI IMAX to see the movie. 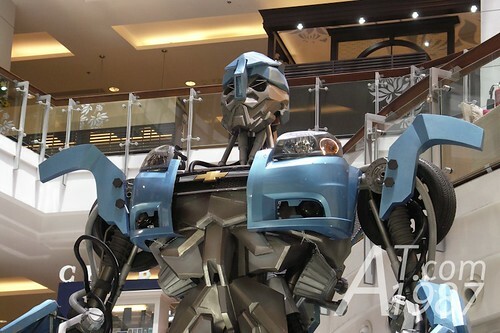 I went to Central World Plaza to hunt the Transformer model created by Chevrolet for promoting the movie and AVEO city sedan car. 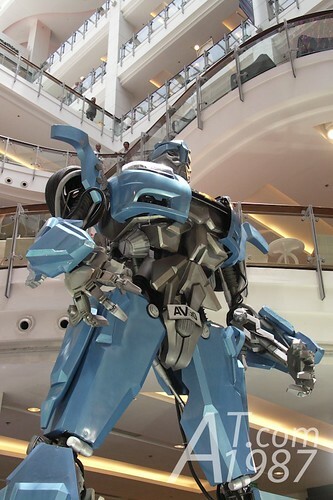 I found it at Transformers booth on the 1st floor. 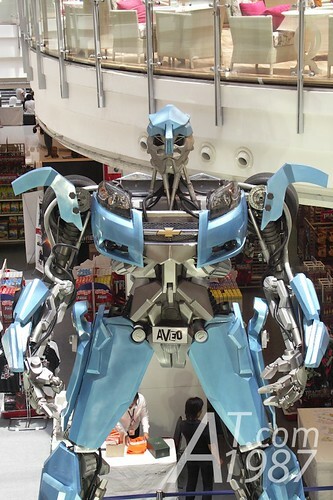 Too bad the cars aren’t the same color as the robot. 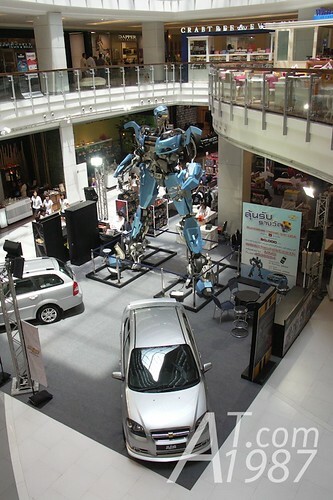 The booth consisted of toy by Hasbro and other products by its sponsors such as LCD TV from LG and car from GM. 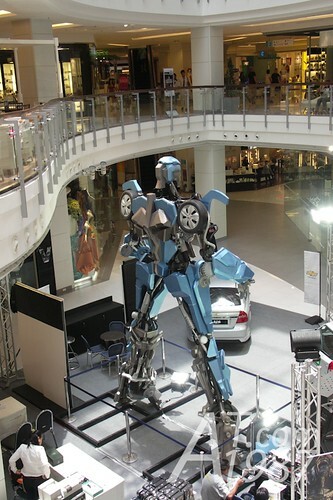 For people who want to see it but can’t went to CWP. 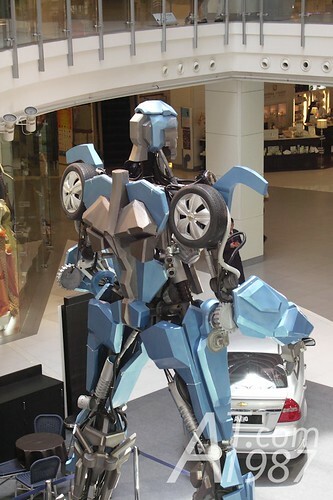 The model may be moved to the place you can go easily. 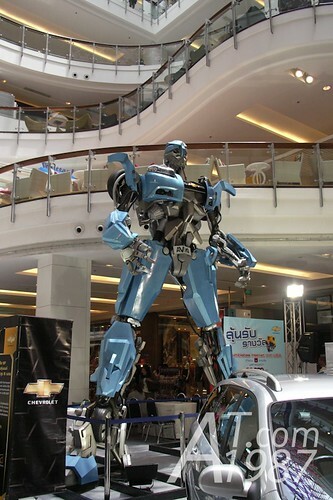 You can see the next place it will be at Chevrolet Thailand website. 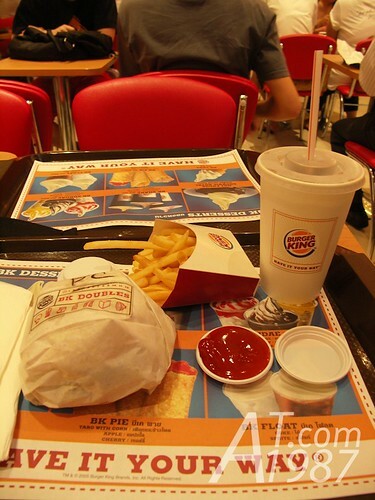 The lunch I ate that day is BK DOUBLES burger set at Burger King. I haven’t eaten at Burger King for 2 years because it hasn’t many branches and the price is quite expensive compare to other fast food restaurants. This is the tickets I got from Thai Ticket Major. 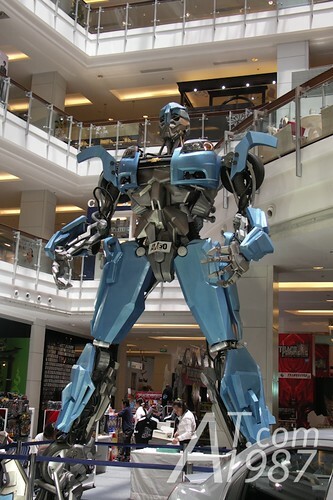 I went to KRUNGSRI IMAX where is on the 5th floor of Siam Paragon. 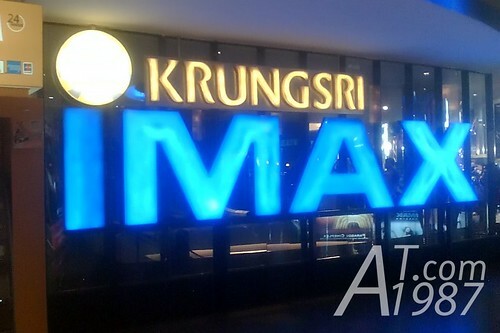 KRUNGSRI IMAX is currently the only IMAX theater in Thailand. 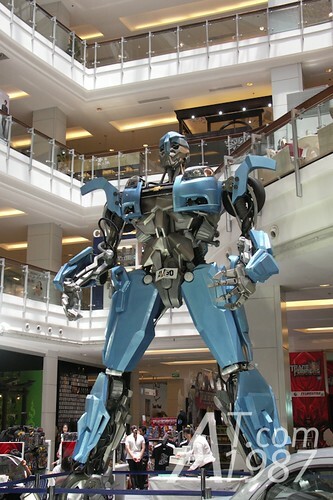 It’s moved from the first one at Major Cineplex Ratchayothin. Many people still queued to buy the tickets. 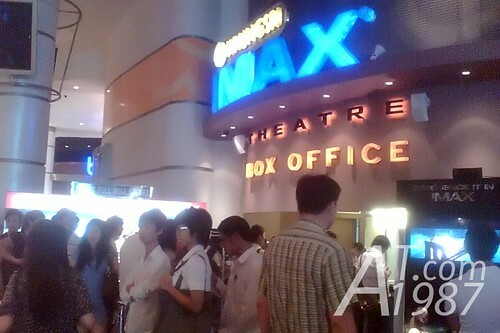 Many people waited for the theater gate opened. Because the very strict rule in the theater. I couldn’t take any photo from now on so no photo. 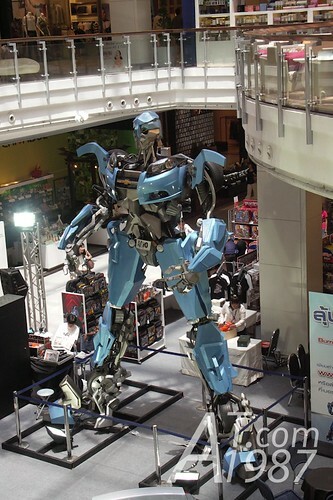 The IMAX theater is very large because of its screen. The screen is very large so I can’t see all of it. The seat is OK but the space for legs is very narrow so I can’t stretch my legs and lean my back. Too bad. 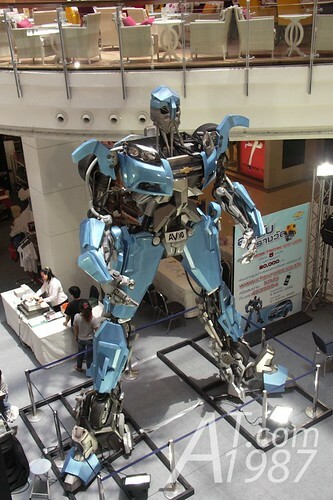 The IMAX experience is good but it isn’t great as I thought. 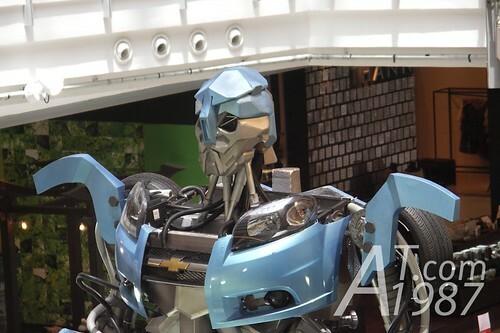 I should save money to buy IMAX BD version instead.